"I will definitely go back there to stay next year when I am..."
Have a question for Pension Marionette? 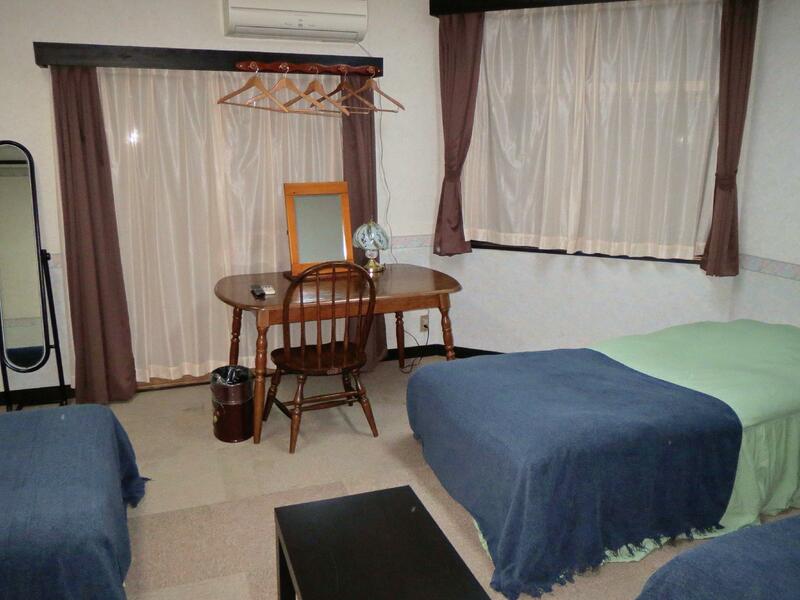 Renovated in 2008, the Pension Marionette guarantees guests a pleasant stay whether in Nagano for business or pleasure. From here, guests can enjoy easy access to all that the lively city has to offer. With the city's main attractions such as Hakuba Ski Jumping Stadium, Hakubahappo Onsen, Happoone Shizen Kenkyu Road within close reach, visitors to the hotel will just love its location. The facilities and services provided by Pension Marionette ensure a pleasant stay for guests. To name a few of the hotel's facilities, there are free Wi-Fi in all rooms, luggage storage, Wi-Fi in public areas, car park, family room. All guest accommodations feature thoughtful amenities to ensure an unparalleled sense of comfort. The hotel's recreational facilities, which include hot spring bath, skiing, fishing, massage are designed for escape and relaxation. 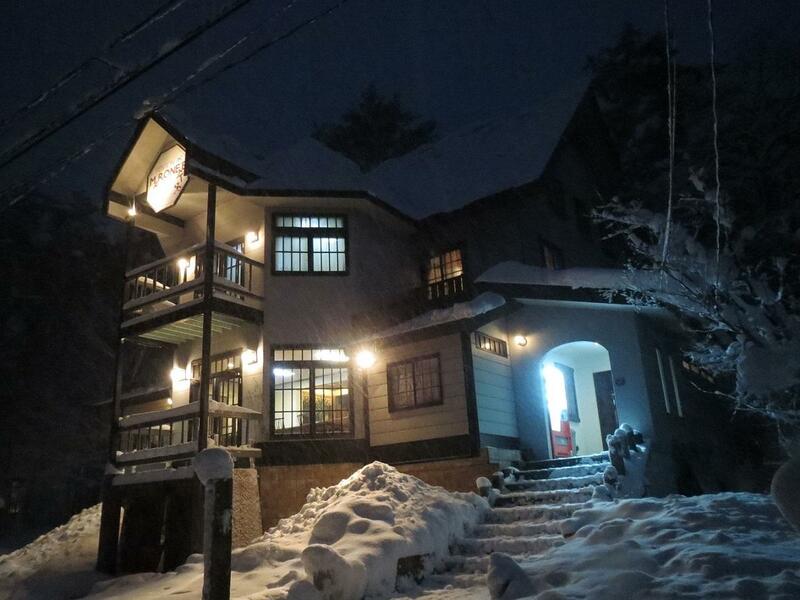 Whatever your purpose of visit, Pension Marionette is an excellent choice for your stay in Nagano. Check-in is between 03:00 PM and 11:00 PM. Guests arriving outside the mentioned check-in hours are requested to contact the property directly prior to arrival so alternative arrangements can be made. Please note that free pick up service is available from "JR Hakuba Station" and "Hakuba-Happo Bus Stop. Please inform the hotel in the "Special Request" box upon booking in advance. My stay at the Pension Marionette was great. I will definitely go back there to stay next year when I am planning my snowboarding holiday. The pension owner is very hospitable and makes me feel like being home. The Pension Marionette offers pick-up and drop-off services, which I like very much. Also, its staff are good, trying hard to help me even though they are not fluent in English. Sidnt realize you had to book dinner with the booking but other than that it was great. They speak English and the owner is super friendly. Like most independently run hotels in the area, the hotel has less then 20 rooms. Two communal toilets and two communal showers. Everything is in excellent working order and extremely clean. Room: we had a room to fit us four girls. Three beds, a small round table and small tv on lower floor. There is a loft with two mattresses. The room had many windows and good lighting. Very very very cosy. No room service. No ensuite, sinks and mirror located on each floor. male toilet on first floor, female toilet on ground floor and shower on lower ground. There are v v few rooms. We only saw rooms on first floor. There appears to be an attic where the staff sleeps. Heating in room and hotel was excellent. Food: while there are many food options within minutes of the hotel the food in the hotel (comparable in price to outside but expensive compared to tokyo) we found the food to be excellent and most convenient after a hard days work (skiing). Location: the ski shuttle stop is a 5 min walk away. Ski rental shops are close by. The hotel is basically a three min walk away from the Main Street where all the shops are located. There is also a onsen located a 6 min walk away that closes at 9pm. Skiing: there are so so many ski slopes that the shuttle connects to - no point staying near the slopes as there are hardly any shops or nightlife after the slopes closes. Others: hotel has a van to pic up and drop off from bus station which is about a ten min drive. Overall: very very cosy winter chalet which can be recommended for families and groups. As for couples, bedding arrangements may not be conducive as they primarily have twin beds. Will definitely return. Близко остановка шатл бас, чисто уютно, очень хороший хозяин. Бесплатная услуга доставки с бас терминал в отель и обратно.